Hello being new here I guess I'll just throw out a bottle and hope. I have two classic glass inboard/out drives and have come across a rather older what I think is a runabout outboard fiberglass boat. Any help with how old she is and what year would be great help. And if she's worth the time to save. 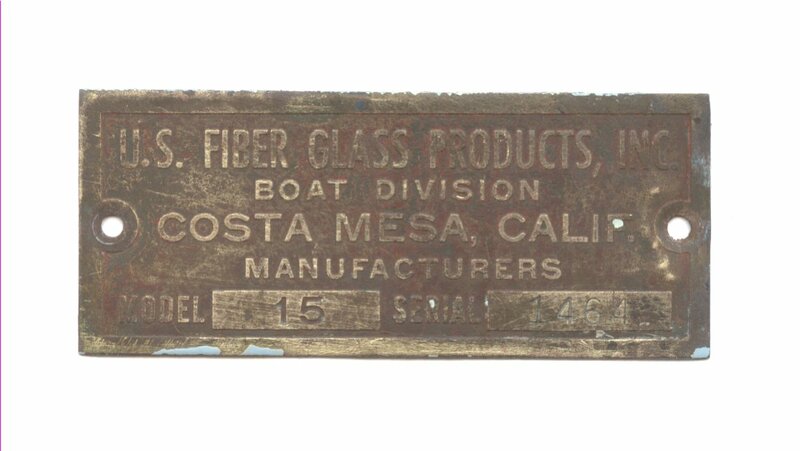 Thanks for the info, looking at the boat hull shape and over all look and the makers plate and low serial # could place it older then 1956. But will have to dig more now with the info from you.